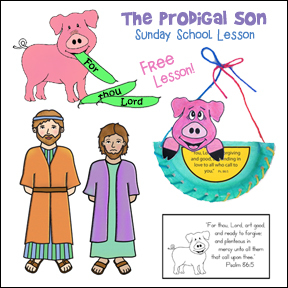 The following Sunday school lesson for children is a sample lesson from The Resource Room. 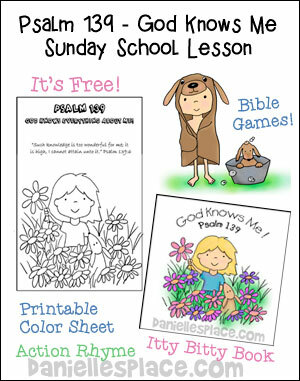 There are many more Sunday school lessons for children available on The Resource Room. Children learn that it is important to tell Jesus how thankful they are. He likes be thanked just like we do when we do something special for someone. 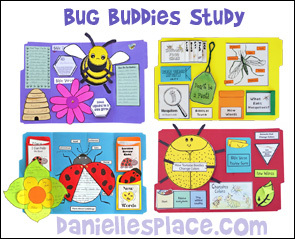 This craft will work well for children first grade or older. It is a little hard for younger children. 3. In class have the children color both sides of the doll and draw a happy face on the other side. 4. Show them how to wrap the material strips around the head, arms, and legs. Use tape or glue to secure. While they work explain that the lepers were very poor. No one wanted to help them because they were afraid of getting the disease. They had to use whatever they could find to wrap their sores. 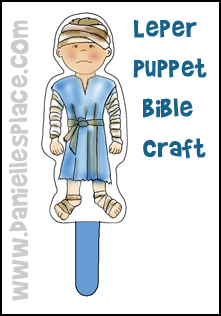 Note: You will need ten of these puppets for your story. If you don't have ten children in your class, make some extras before class to use during the lesson. This craft will work well for younger children (Kindergarten or Younger). 1. 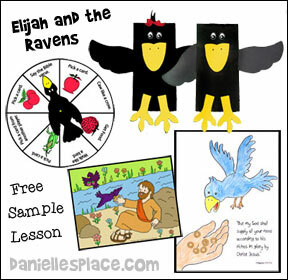 Before class print out the stick puppet patterns onto card stock and cut them out. 3. Glue a jumbo craft stick to the back of the happy face pattern and then glue the sad face to the back of the happy face so that you have a reversible puppet. 4. In class have the children color the puppets and help act out the story. 2. Cut white paper to fit inside the book. 3. In class give your students a cut sheet of paper and tell them to draw a picture of something they are thankful for. Tell them that you will be making a class book and that they will be sharing their pictures with the class after story time. 4. Staple the pages together. Write the class name and date on the cover. Staple all the pages together when it is finished. 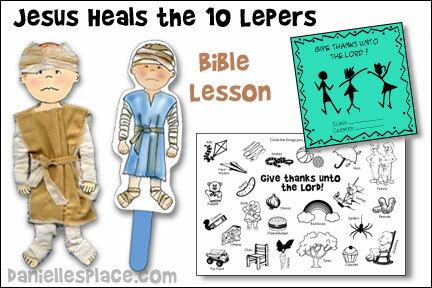 Preparation: Before class have your children make the leper paper dolls. 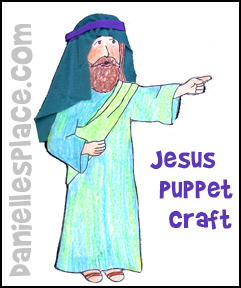 Also make a Jesus paper doll pattern. When the children are finished place ten of the paper dolls in the front of the room all in a row with the sad faces showing. What do you say when someone gives you something special? What do you say when someone does something for you that makes you feel happy? What do you say when someone does something to show they love you? Did you ever forget to say thank you? I bet your mother said, "What do you say?" and reminded you to say thank you. Our story today is about some men who forgot to say thank you. But there was one special man who remembered. Our story today comes from Luke 17. 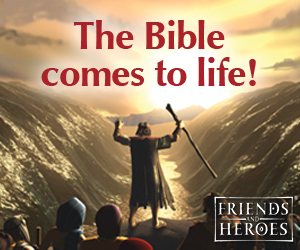 (Open your Bible to Luke 17 and tell the story in your own words.) Once there were ten very sad men. (Point to the paper dolls.) They were sad because they all had a terrible disease called leprosy. Leprosy was a terrible disease because they didn't have a cure for it and it was very contagious. That means that it could be spread from one person to another very easily. If someone got leprosy, they had to leave town and everyone they loved, and go live with other people who had the disease. The leprosy would make their skin turn white and eventually they would lose their fingers and toes. These men where sad because they didn't have much hope. But things would soon change for these sad men. One day they saw Jesus walking down the road on his way to Jerusalem. They couldn't come close to Jesus, but they called out to him, "Jesus, Master, have mercy on us." When Jesus saw them, he said, "Go show yourselves to the priests." They did as Jesus told them and went to the priests. On their way to the priest, they were healed! All ten of them were healed! They were so excited. They didn't waste any time going back to their families. But one of the men was different than all the rest. When he was healed, he was very excited, but he remembered to do something very important. He ran back to Jesus, shouting, "Praise God, I'm healed!" He fell, face down, on the ground by Jesus' feet, and thanked Jesus for what he had done. Jesus looked around and asked, "Didn't I heal ten men? Where are the other nine men who were healed?" Jesus said to to the man, "You may get up and go. Your faith has made you well." How do you think Jesus felt when only one man came back and thanked him? Do you like to be thanked when you take the time to do something nice for someone? How would you feel if you spent a long time making something for someone and when you gave it to them, they didn't even say thank you? Do you think Jesus likes to be thanked when he does something? Of course, he does. Sometimes we don't even think about all the good things that God gives us. It is easy to forget just like the nine men in our story. Sometimes we don't even realize everything that God has given us or how important they are until something happens. For example, we don't realize how important it is to have a healthy body until we get sick. We should thank God for keeping us healthy. There is always something we can thank Jesus for. They Bible tells us to give thanks in all circumstances. That means that we should not only thank him for the good things, but also the bad. Remember God makes everything turn out for the good for those who love him. covered with rags from head to their toes. Then they saw Jesus walking by. They got excited and started to cry. "Help us Jesus. We don't want to die!" Then Jesus told them to go to the priest. They ran off towards the northeast. On the way their leprosy disappeared. They ran home both far and near. They forgot about Jesus and didn't look back. But one young man didn't follow the pack. He went to Jesus and fell down on his face. He gave him thanks for his saving grace. Older children will enjoy making a puppet show using their paper dolls. 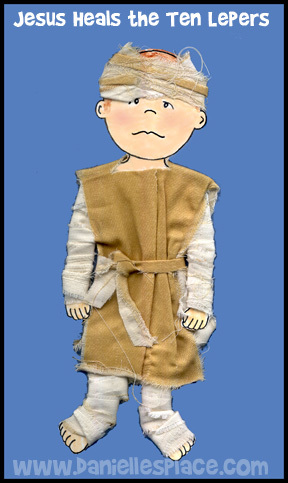 Use the pattern above to make the lepers and this Jesus paper doll pattern to make Jesus puppet. have access to a video camera, make sure to tape the show and show the children the recording as soon as they are done. They may want to do the show again if they see problems with the first one. Before you start the prayer tell the children that each of them will have a chance to give thanks for something. Have them stand in a circle. Tell them that you will start the prayer and that the person on your left can then say something that he is thankful for. Tell them that you will finish the prayer. If a child doesn't want to pray he can squeeze the hand of the child next to him to let him know. Father, help us to remember to be thankful. Everything we have comes from you. I would like to thank you for ______________. Show your children the finished book. Go through the pages one at a time asking the children to explain what they drew and are thankful for. Place the same amount of chairs in the center of the room as you have children. On some of the chairs tape different colors of construction paper. Play some music and have the children walk around the chairs. When the music stops all the children should find a seat. All the children who are sitting on a seat with a piece of construction paper must think of something they are thankful for that is that color. For example, if a child sits on a seat with an orange sheet of paper, he must think of something orange that he is thankful such as a pumpkin, orange, orange paper, orange crayon, orange paint, etc. Children circle the things that they are most thankful for. When a verse is read, write down the reference and a few words that describe what we should be thankful for. 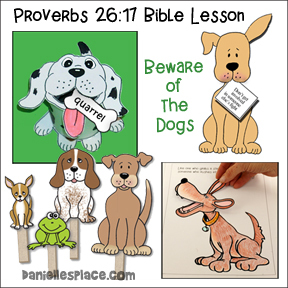 You can assign each child a verse or group the children and give each group a verse. Psalm138:2 - Praise for loving kindness and truth. 1 Thess.1:2 - Give thanks for you. 1 Tim. 2:1-2 - Thanks for all men, kings, and all who are in authority. 2 Corinthians 9:15 - Thanks for his unspeakable gift. 1 Corinthians 15:57 - Thanks for victory through Jesus. 1 Thess. 5:16-18 - Give thanks in all circumstances. Psalm 136:26 - Thanks for his mercy. Colossians 1:12 - Thanks our inheritance. John 6:11 - Thanks for food. Daniel 2:23 - Thanks for wisdom and strength. Copyright 2003, Digital by Design, Inc.
We would love to hear your comments about this lesson. If you taught this lesson, we would love to hear how it went, if you changed anything, added anything, what age you taught and was it appropriate. Any comments that would help others teach this lesson are welcome. 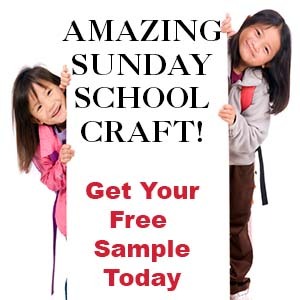 For more Sample Sunday school lessons go to the Sample Sunday School Lessons Page.